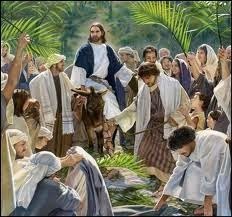 Leader: Come to worship Jesus Christ, risen forever. All: Come to rejoice in life born out of death. Leader: Come to grasp hope in the face of fear. All: Come to find forgiveness for our sins. Leader: Come to release your doubts into the very presence of God. 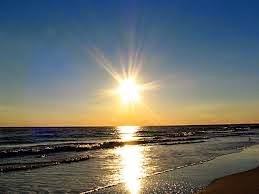 Following this, Hugh led us through a time of challenge and invitation to renewal, singing the next Hymn 156 "Morning has broken", alerting us to the possibilities of the joys of committing ourselves anew to our relationship with God. Then he led us in a Prayer of Praise, asking God to raise us to new life, releasing us from the distractions of daily life, that hide Him from us. We were then Called to Confession, asking us whether we had allowed the Easter season to make any difference in our lives. Are we living a life of hope and promise? Or are we holding back in fear? Then an invitation was given to confess our sins. We confessed that we had not been trusting in God but had been content with the ways things are, excusing ourselves from taking action and remaining in our comfort zone. For this we asked forgiveness and that God would "Catch us up into the dance of his Holy Spirit, so that we may find hope and others find happiness through us." Hugh then assured us, "Let it be declared! In the name of Jesus Christ, the risen Lord, our sins are forgiven." The Offering was then received as a way of showing the healing generosity that Jesus showed in the sacrifice of his life. Stephen then brought us the Readings: 1 Peter 1: 3-9; John 20: 19-31. Peter tells us of the hope for the future through our new birth - our reason to rejoice. John tells us of Jesus' appearance to the disciples after the resurrection, not chastising them for their disloyalty or cowardice but offering them peace. Even when Thomas refused to believe without touching Jesus' wounds there was no condemnation. In his Sermon, Hugh highlighted Jesus' love for his disciples, forgiving them for their fear and showing enormous confidence in them, granting them authority in this world. Hugh told us of all those emotions the disciples were suffering, hiding away, avoiding trouble from the people around them. Emotions just like those we experience: failure, betrayal, confusion, disappointment, shame and guilt - lots of it. But Jesus went straight past all that to forgiveness. And that's how God responds to all our failures. Forgiveness and a plan to move on. We can rely on God for that. There's no need to run away and hide. He will forgive and help us start again. But it means we have to accept our mission to forgive and forgive, showing the world God's love. This theme of being forgiven and moving on to the next step in God's plan for us was expressed in the next Hymn 687 "God gives us a future” charging us to leave behind our failings and look for the signs God leaves for us to follow. Delma then led us in Prayers for the People, thanking God for answered prayer, and went on to pray for those we care about, pleading for peace in all those countries which are being torn apart by warfare and civil strife. She prayed for the decision makers in the government and the church and for those who come to the aid of people in distress. Then she asked for God's healing hand on those known to us who are sick and asked us to join in The Lord's Prayer. And how to achieve all this? Hymn 745 "Seek Ye First the Kingdom of God" and all we need will be given to us. Go from this community of disciples with hope that overcomes your fears and doubts. Go with the promise of new life. Go for God. Go with Christ. Go in the Spirit. And the peace of the Risen Christ be with you now and forever! Amen. Hymn 720 "Halle, Halle, Halle-lujah. “Christ is the world's light, Christ and none other; born in our darkness, he became our brother. Christ the Lord is risen today, Alleluia! Earth and heaven in chorus say, Alleluia! Raise your joys and triumphs high, Alleluia! Sing, ye heavens, and earth reply, Alleluia! The robust hymns written by Charles Wesley so long ago still stir our hearts and souls to be active and eager in our adoration and worship. Grahame and Mavis really enjoyed playing this hymn! 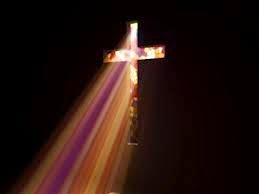 Prayers of Adoration & Confession These responsive prayers challenged us about the times we doubt or deny God and distance ourselves through sin; to become overwhelmed and feel separated from His Love. Then the amazing solution! No-one but you, Jesus, no-one but you! Love poured out on that cruel cross, a blood offering so we might go free. Love poured out, infusing this world with rivers of grace and hope of rebirth. Halleluia! Jesus is risen! He is risen indeed! May this prayer of ours resound not only in these walls but touch the lives of all we meet and forever be the truth of which we speak. Halleluia! Jesus is risen! He is risen indeed! Through Jesus Christ our Lord. Amen. Offering / Prayer Carolyn and Colin were helped with the offering by Charlie and Oliver and Hugh asked for God’s Blessing on our gifts. Children’s Address: Hugh tackled the difficult task of explaining the true message of Easter to young children. He did this gently and thoughtfully, without spoiling the fun of a degree of chocolate indulgence, caused by the somewhat confusing “commercial” message of bunnies laying chocolate eggs. Matthew’s Gospel presents the most dramatic version of the resurrection with details of “A violent earthquake; an angel of the Lord descended from Heaven; he came to the stone and rolled it away and sat himself down on it.” No wonder the guards shook with fear and passed out! No wonder the angel needed to tell “the women” there was nothing to fear – that must have been a great challenge for them to remain calm while being told by an angel that Jesus had risen from the dead! Hugh began his reflection by painting a funny picture of how we might react if, while buying petrol for our car, we saw a person, presumed to be dead and lying in the back of a hearse; sit up and look out the window and watch us with lively interest. After all the grief of the crucifixion, the nerves of Mary and the other women and Peter and the other disciples must have been just about at breaking point by Sunday morning. Although they had been told that Jesus would rise from the dead on the third day, it was obvious that nobody had allowed that impossible thought to penetrate their minds. What happened that first Easter is an amazing story and I think I would have been like Thomas, who continues to get “bad press” for needing proof of the resurrection of the man who stood alive before him after the agonizing death on the cross - claiming to be Jesus. Hugh told us that once he had “proof” Thomas had devoted his life to being a missionary in India until his death. In telling us of the profound effect the resurrection had upon the disciples, Hugh reminded us that; “Just before Christ was crucified Simon Peter denied publicly that he even knew Christ and yet, a mere seven weeks later on the day of Pentecost, Peter told the story of Christ’s death and resurrection with such conviction and power that three thousand people became believers (Acts 2:41).” I am imagining the challenge of standing up in front of 3,000 people to convince them they can have eternal life because a man had risen from the dead. Yet I have the benefit of the weight of witnesses to the power of faith in the resurrection, through 20 centuries of believers! Later in the narrative of Matthew: 28, there is a story of how the chief priests gave the soldiers a large sum of money to say that the disciples came during the night and stole Jesus’ body while they were asleep. As Hugh noted; the belief or not of this “stolen body scenario”, describes the major difference between Christians and the rest of the world, over the person Jesus Christ. Hugh finished his reflection with passion; “This is not propaganda, dear friends. This is not a myth. It is not a story fabricated to deceive. This is the jumbled testimony of actual witnesses to the most amazing event in history. These witnesses to Christ’s resurrection recorded their testimony with all the doubts of their friends and the accusations of their enemies. Prayers of Intercession: Hugh prayed for all people throughout the world; In the name of Christ our Lord, who defeated death that we might live through his great love in dying for us and for our sins. He prayed for the church and for unity among leaders and congregations, working together to spread hope in a world where there is much despair and suffering. He asked that the comfort of the Risen Lord and the Easter message would touch the hearts and lives of all people, those known to us as well as those whose circumstances we don’t personally understand. Hugh asked us to gather our prayers and praises into one and say the Lord’s Prayer together. It was very pleasing to share in Holy Communion on Easter Morning, with the Prayer after Communion said together, summing up our experience and our future tasks. Thank you, O Christ, for this feast of life. We are fed by your love; we are strengthened by your life. We are now commissioned to: feed as we have been fed, forgive as we have been forgiven, love as we have been loved. Thanks be to God. Amen. “Alleluia, alleluia, give thanks to the risen Lord, alleluia, alleluia, give praise to his name.” This is the best known of the hymns written by Composer - Lyricist: Donald Emry Fishel and it is easy to understand why the gentle swinging rhythm and words please the singers of this hymn of rejoicing. We were sent out to be confident and full of renewed hope and trust in the transforming love of God, followed by the Blessing: “And may Christ, Our Risen Saviour, always be there by your side to bless you most abundantly and be your loving guide now and forever.” Amen. He went to the Temple and looked around at everything. with a sense that Jesus has walked in too, and is looking around. so that we see the world through His eyes. Let us worship God our Father. HymnTIS161 "Tell out, my soul, the greatness of the Lord!" A song of triumphant praise. We should start each day with one of these, life would take on a totally different hue. Prayer of Adoration and Confession. Hugh's prayer referenced the triumphant ride into Jerusalem and the shout of the crowd, "Blessed is he who comes in the name of the Lord", and asked that, "our enthusiastic presence contribute to a world-wide recognition that (God) is indeed. the King of all". He then confessed our many sins and begged forgiveness for them, assuring us that we were forgiven. Offering Once again our youngest members collected the offering which was dedicated to the work of God in our community. Hymn TIS 256 "From Heaven you came" (vv. 1, 3 & 4) The first verse of this hymn teaches us a lesson, that if everyone heeded it, the world would be a vastly different place. Jesus came to serve, not to be served. The outcome was our redemption. Our service cannot bring such a life-changing and world-changing effect but we can make a huge difference. But the more people who expect to be served, the worse humanity will be. Readings John 12: 12 - 18; Philippians 2: 5 - 8 read by Joyce. The reading in John was the story of Jesus' triumphant ride into Jerusalem and the people's marvelling at the works he had done. It looked as though things were done and dusted but the threat it raised in the minds of the Pharisees was to spell out the end of Jesus' life on Earth. Even people who are simply good and upright in their dealings can have such an effect. If you get in the way of the power or wealth of some people simply by being honest, they will find a way to remove you. Philippians takes us to the next step. Because Jesus emptied himself of all but love, "God also highly exalted him and gave him the name above every name". Good will triumph and absolute good will triumph, absolutely. Reflection Hugh began by reminding us that the people were so sure of Jesus' Kingship that they were about to take him physically to make him their king by force. That happened earlier in his ministry and here it is happening again. Hugh then pointed out that when the people shouted “Hosanna” it could have also been used as it was to greet military heroes. Then it could mean, "Save us our King. Protect us and save us from our enemies and oppressors". We all know why the people would have been so motivated - years of rule by foreign powers. But Jesus came for a different reason - to establish a different kind of kingdom - he came to show "love, grace, forgiveness...he lived for it, suffered and died for it and lived again for it." I wonder how much we look to Jesus, maybe not for relief from an earthly oppressor but as a way of solving earthly problems. Have we surrendered ourselves to his service or do we expect service from him. Sometimes I think that if I need freeing from an oppressor, then it's from myself. "This is a life-or-death matter. Jesus Christ, the Son of God, our Lord and Saviour gave up his life for this matter. For us to live his life on earth. Christianity isn't a religion - it's a new way of life"
Quartet Hugh, Malcolm, Grahame and Stephen sang the evocative, "Were you there?" A challenge to us all. He prayed for peace in the world, and the welfare of our planet and its peoples. For Carlingford and all other localities. He prayed for all those suffering and in need and for our own church and its ministry. And then we joined in the Lord's Prayer, praying as the Lord taught us. Hymn TIS 648 "Help us accept each other" vv. 1, 3 & 4 Another lesson in Christian living. We are accepted by God, himself. We have nothing to recommend us. That acceptance is full and free. Pass it on - that's all we can and should do. May the Lord bless us and protect us. May the Lord smile on us and be gracious to us. May the Lord show us his favour and give us his peace. And the Blessing of God the Father, Son and Holy Spirit abide with you, now and always. Leader: From the depths of my despair I call to you, Lord. People: Hear my cry, O Lord; listen to my call for help! Leader: If you kept a record of our sins, who could escape being condemned? People: But you forgive us, so that we should stand in awe of you. Leader: I wait eagerly for the Lord's help, and in his word I trust. People: I wait for the Lord more eagerly than sentries wait for the dawn. Leader: Israel, trust in The Lord, because his love is constant and he is always willing to save. People: He will save his people Israel from all their sins. Hugh then said a word about the musicians, Grahame, Roger and Andrew, who lead the music each week, and Warwick, the teckie, who delivers the PowerPoint, for the sacrificial nature of the service they offer to the rest of the congregation. They rarely can enjoy or even benefit from the service because they are too busy seeing that the correct music and screen support is delivered at the right time. Our thanks to them. Hymn TIS 72 "From all who dwell below the skies" A song of pure praise from all creation. Hallelujah. And amen to that! Our mothers spent so much time teaching us to say "Thank you." You would think we would realise that we had to do at least that for each gift that comes to us minute by minute. If we did, we might even think to give praise as well, for each amazing thing that comes our way, rather than thinking "it just is". Prayer of Adoration and Confession. Hugh prayed to our Lord who is beyond all comprehension and all wisdom, that the morning would be a time of awakening for the complacent, a time of companionship for the lonely, a time of insight for the confused, a time of release for the guilty, a time of healing for those who ache and are ill and a time of new life for all people. "We praise your name...we celebrate your presence...we will show your love to the world..."
"We...confess our sins...we have sinned against you and our neighbour. Forgive our sins and restore us again to your image..." Through Jesus Christ our Lord. Amen. Offering The youngest members of our congregation collected the offering and Hugh dedicated it to the work of revealing the Kingdom. Hymn TIS 655 "O Let the Son of God enfold you" Life can bring its sorrow and its hardship. We sense our own failings and lack of understanding. This hymn says it all. Bible Readings: Laurel read to us from John 11: 1 - 8; 25 - 36. This reading covers the time when Mary and Martha sent a message to Jesus saying that their brother was dying. Jesus did not go to them immediately and even when he announced that he was going to go, his disciples reminded him of the hostile reception he had received there from the Jews previously. He went and received a remonstration from Martha, who said that if Jesus had been there her brother would not have died. Jesus' reply was that her brother would rise again and then went on to tell her that, "I am the resurrection and the life. Those who believe in me, even though they die, will live..." That's certainly worth our praise! Reflection Hugh began his reflection with a reference to the death of "Mr. Hooper" from "Sesame Street". The staff discussed how to tell their very young audience and after engaging child-development experts, worked the announcement into the script of an episode. The point of Hugh's "parable" was the punch line "when people die, they don't come back." As Hugh said, the Psalmist put his finger on the heart of it: As for man, his days are like the grass; he flourishes like a flower of the field; for the wind passes over it, and it is gone, and its place knows it no more." "In our Christian faith, however, death is not the end of life; death is the beginning of a new life and a new living"
Hugh told us that Jesus has gone before to prepare a new home for us: that God wants to take us out of all that causes our suffering here and give us a new start. Hugh then referred to the story of Lazarus, saying, Jesus wept for his own loss but also wept with the people in their grief and loss. In the same way, Jesus is with each of us, right next to us, in all that we suffer. To go to Martha and Mary, Jesus had to risk being killed but he did so to be able to share their pain. And when we are in pain, Jesus is there sharing that pain with us, if we will let him. Hymn The Summons: "Will you follow me if I but call your name?" A challenge to us all to commit ourselves anew (or for the first time) to the call of God. He doesn't promise an easy path. In fact, in this hymn, the hardships which are predicted require a sure faith in God. Prayers of the People and the Lord's Prayer Joan led this part of our service. It is important part because it gives an opportunity for one of us to bring the current concerns of the congregation to the Lord. Joan thanked God for the strength he gives us to cope with life's harder experiences. She mentioned, in particular, the terrible events in the news - the earthquake; the lost plane (presumed crashed) and other disasters. Joan thanked God for the support we are given which allows us to support others and gave thanks for God's love that comes to us through life's experiences. While acknowledging that we can speak with God all through the day at home, she gave thanks for the extra strength that praying as a church gives. Joan prayed on our behalf for those known to us who need God's support and asked for God's help in finding someone to be our minister. We then joined in The Lord's Prayer. Blessed are you, Lord God of all creation: through your goodness we have this bread to set before you, which earth has given and which human hands have made. 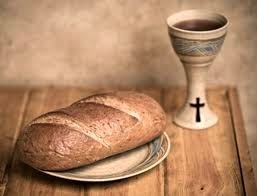 It will become for us the bread of life. Blessed are you, Lord God of all creation: through your goodness we have this wine to set before you, fruit of the vine AND work of human hands. It will become for us the CUP of our salvation. The Spirit of The Lord is with you. And also with you. Let us give thanks to The Lord our God. It is right to give thanks and praise. Prayer Hugh then prayed, thanking and praising God for His Son and all creation. He thanked God that his Son came to live amongst us, and died for us, rising to a new life, fulfilling the Father's promise. Let us proclaim our faith. Christ has died: Christ has risen: Christ will come again. We thank you for the sacrifice you made for us and that, now as members of Christ's body we become his agents in the world, being a blessing to those around us. Hymn TIS 409 "O breath of life" A prayer for renewal, confessing our need and acknowledging our awareness of the task before us.